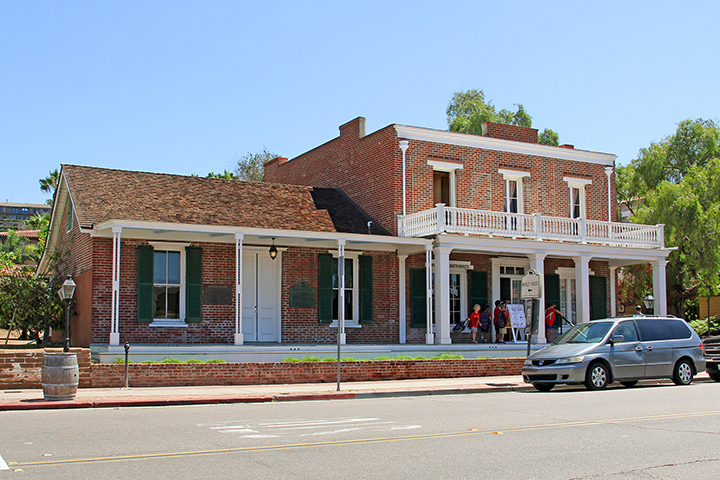 Amy's Haunted Blog : Whaley House, Most Haunted Place in US? - I doubt it. Whaley House, Most Haunted Place in US? - I doubt it. I recently vacationed in San Diego Ca and of course hosting the Haunted Travels website and loving all things ghostly, The Whaley House was a must-see! My husband and I eagerly paid our money, took the self-guided tour material (some typewritten pages describing each room) and set off next door to explore. I was prepared with my camera and took tons of photos. 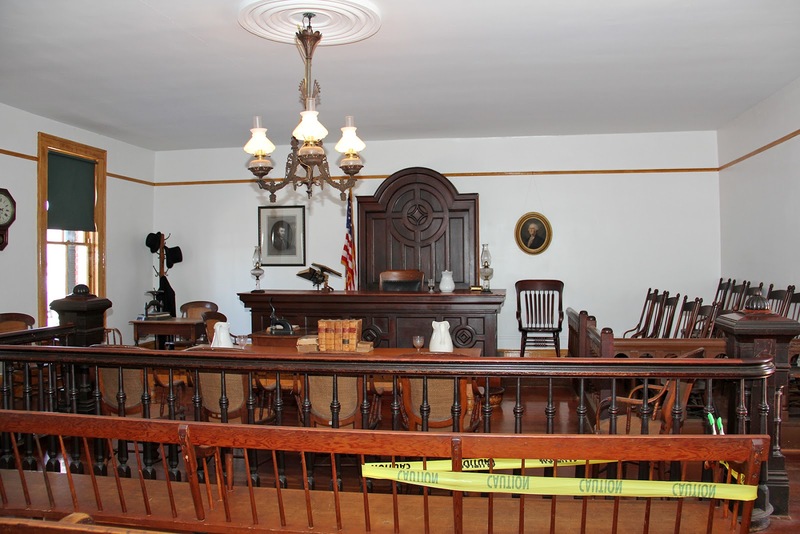 Because there was only one other family in there at the same time, we were able to spend some time in the Courtroom downstairs and the theater upstairs just being quiet and soaking up the atmosphere. Of which there was none. Not a single iota of a feeling of something being "off" or strange about the surroundings. My husband and I are both kind of sensitive to unusual atmospheres, him probably more then me. The place felt as (non-)creepy as my local grocery store. Nothing was strange in any of my photos. There is a loose leaf notebook in the general store room with "ghost photos" visitors have taken, so I looked though it on our way out. Nothing but photographic anomalies due to flash, exposure, dust, insects or camera straps IMHO. Assuming that it really is haunted, I guess if you're that rare employee alone after hours at just the right moment maybe something unexplainable occurs. If you look at their website or at their offerings in the gift shop, they very heavily promote their hauntings to attract tourists. And no, I don't think that means all visitors will have something odd happen, but if you're "the most haunted house in America" I expect that someone who is sensitive will feel something odd somewhere inside the building. Now, many publicly open places are haunted and acknowledge it without seeming to shamelessly exploit it. Sadly, when we left the Whaley House the only feeling of discomfort I experienced was the one of being duped. Hi Amy! I enjoyed reading your post about the Whaley House. I am also very interested in haunted locations and ghost tours. And what a disappointing situation it is when a supernatural place doesn’t end up being what you expected and hoped it would be. I live in Northeast Ohio and there is a place called five points, which is a five-way intersection near the Youngstown-Warren Regional Airport. It is an ongoing urban legend in the area, that if you drive your car onto the railroad tracks and put your car in neutral, a ghost will appear and come flying toward you. Well to my disappointment, this legend did not turn out to be true. My friends and I tried it a few years ago and nothing happened. It is definitely upsetting, but one not so exciting experience won’t keep me from going to other supernatural locations!